Surviving Ireland: The End of Free Higher Education in Ireland? The End of Free Higher Education in Ireland? A quick parental Brag List (I just finished putting my 3 kids through college - 9 consecutive years in all - so figure I'm entitled): Jonathan worked his arse off. 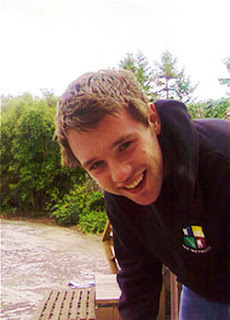 He ended up at the top of his class at NUIM (National University of Ireland, Maynooth), and by doing so, also won the John Hume Scholarship - which gives him a free ride for four years toward his PhD in Irish Studies. I am justly proud of the hard work of my son. And also so very pleased with the quality of the education that he received. Now all of that is wonderful. But what's more wonderful is this: during his undergraduate years, Jonathan (as well as his sisters) benefitted from an outstanding, and almost 'free', university education. Of course, I footed the bill for each of them. The cost? Approximately $12,000 per annum. That's right, twelve grand. And that includes everything: tuition, room and board, books, even the occasional pint. Me: "Ah, it's so nice to think that I'm almost done putting the kids through college. I think I'll buy a yacht!" Him: "Don't rub it in. I still have 3 more years to go." Me (now deadly curious): "Ah, Larry, would you mind if I ask?.... What does it cost to send your kid to SUNY?" His eyes darkened. His brow furrowed. His face grew pasty white. Me (choking): "This is for a semester?" A year of college at what truly is a great university costs poor Larry about fifty thousand bucks. On the other hand, a year at NUIM - which is a great university, let me tell you - is less than a third of that. Larry glanced at me. "What does it cost to send your son to college?" he asked. I told him. The poor man had to run to the Men's Room, he was so struck with jealousy. However, Larry and other jealous parents can take heart! Because, and due to the collapse of the Irish economy, it looks like Irish education will be almost as expensive as in the States! The quality of Irish education, and its relative cheapness, has long contributed to the growth of Ireland's economy. Back in the early 80s, when Ireland was mired in an economic morass, even the IDA - the Irish Development Authority, those charged with bringing investment to Ireland - used the quality of Ireland's bright young kids as a sort of Corporate Mission statement. That is to say, Come to Ireland, and you're going to be able to tap into some of the brightest, and most highly educated young people in the world. And that statement was - and still is - true. Ireland's system of higher education is second to none. For years, the government has seen fit to invest heavily in this area. And by so doing, they have also invested in the futures of its young people and therefore in Ireland, itself. What's more, higher education - as illustrated above - was (and still is, for now anyway) affordable. If you wanted to go to college, and if you could make the grade, then you could afford it. While I am NOT a socialist by any stretch of the imagination (okay, time that I admitted it: I'm a registered Republican. Mind you, I voted Obama), I have seen the benefits of almost free higher education at close hand. And the benefits are enormous. Higher learning has provided younger people with skills and knowledge that they might not have been able to afford elsewhere. And that investment paid off handsomely during the Celtic Tiger years. But now? Now that the economy has tanked, the government is thinking of pulling the plug on free higher education. This year's budget (scheduled to be announced in December, or so I remember) will institute a real schedule of tuition charges. Invariably, many will no longer be able to attend college. And that will rob Ireland of a generation or so of talent and skills. "But," you might ask, "So what? I had to pay tuition. Why not these kids?" I had to pay tuition too, back in the States. The difference was - and still is - that a wide range of loans and grants are available to US college-bound kids. That's not the case over here. Federal loans are non-existent. Grants are as scarce as pond lillies in the Sahara (my son won one of the only Grants available in the country, God bless him). Private loans from banks are expensive. Which means, of course, that when this new tuition comes in, kids here considering college will be faced with the same sort of decisions that many US kids face: either forget about going to college at all, or know that you're going to have a six figure loan balance upon graduation. Maybe that's okay. I don't know. But I do know this: free (or almost free) higher education was one of the significant benefits that attracted me to Ireland in the first place. If that disappears, it will make Ireland just that much less attractive. To me, and a whole lot of other people. And that, unfortunately, is a great shame. For more stories on living in Ireland, why not buy Tom Richards' book A Survivor's Guide to Living in Ireland? Just click on that link! I am, unfortunately, one of those poor american kids who pushed through a masters degree and has a six figure bill to pay....it's a freakin mortgage. My one hope was that my kids wouldn't have that...this news is dreadful!!!! I hope they see that taking money away from education is a terrible idea. P.S. Congrats on your sons graduation! Good hearing from you Diana. And yeah, the possibility of higher Higher Ed costs is troubling to say the least. Ah well. Who minds being poor anyway? (Well, me for one!) Re: "Dougs and I are getting married on Oct 9 and heading to... I'm nervous...he did say if I absolutely hated it and couldn't work, that we could come back...sigh." So true. One of my best friends also married an irish man...and he actually left 3 months before her, he was so ready to go home. She followed him after and has been there ever since. She seems to like it so far, apart from not being able to work yet. But I'm glad I will at least have another American friend I knew before who will be there. I'll live. I'm sure if he is happy that in turn I will be too and vice versa. I think that I will probably fall in love with it anyway. :) That is a great idea for the next blog though. Thanks so much for writing this blog Tom, it's really helpful. Ireland is one of the countries that are providing free education to overseas students since many years but we have heard that this is last year for free education. Any how the people who have got benefit from this opportunity are very lucky and they must get resume writing service from some one professional and get assistance too for applying to a better job.